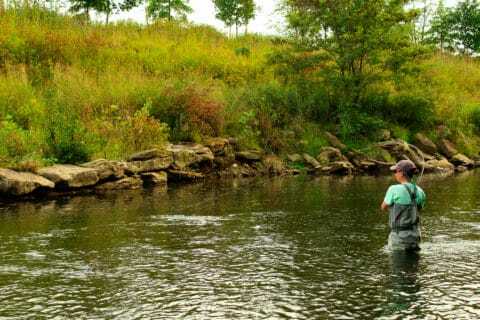 The gear, and acquisition of gear, is part of what makes fly fishing so fun. While there’s something to be said for the minimalist who takes a pocket full of stuff for the entire day, most of us cram trinkets and tools into every possible nook of our pack or vest. Furthermore, it seems as though we need a new net, reel, tool, and fly box for every different fish we go after. Steelhead are no different, and here are the top 5 gear essentials for chasing the silver bullets of the Great Lakes. When it comes to a good steelhead net, there are three things to consider. The first is a long handle that makes it possible to corral a fish from a few feet away. Steelhead are notorious for their long runs and cartwheeling acts while hooked, so getting one into the net is no easy task. 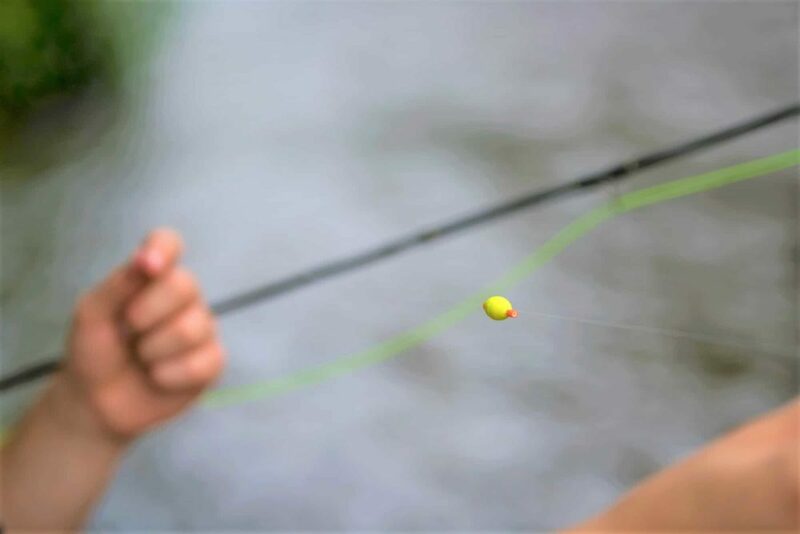 Many a fish are lost right at the net, and if a longer handle from our hand to the net basket allows us to net that fish a split second sooner, then it’s worth it. After that we should be looking at the size of the net basket. A larger net basket is absolutely essential for serious steelheaders. 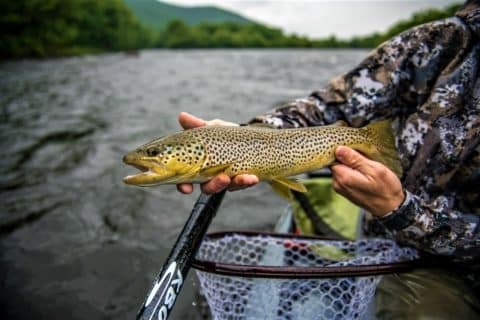 While it’s possible to beach the fish or keep them contained in small nets, a bigger basket makes life a lot easier when landing and handling fish. The last thing to keep in mind about a steelhead net is the webbing itself. 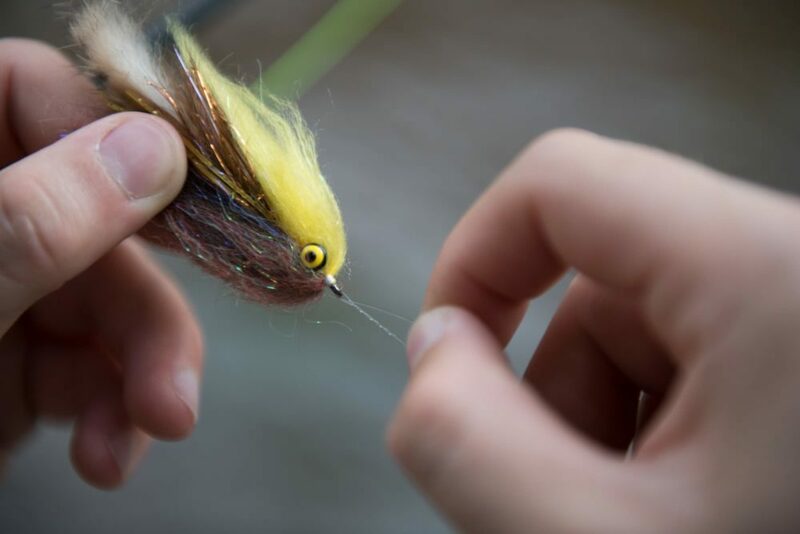 Rubber webbing makes for very easy hook removal and it ensures the fish stays safe. It’s an anglers hands that take the biggest beating from the frigid conditions on the steelhead stream. Wool gloves, mittens, flip-over mittens, and waterproof gloves have all been tested but it’s the finger-less gloves that win out. They offer enough warmth to keep your hands comfortable but aren’t so overwhelming with material that flies get caught in them. It’s also very convenient to be able to adjust weight, indicator, or flies without having to take gloves off and stow them somewhere. There are times in a fight with a steelhead where the angler just stands there helpless and line screams out of the reel while the fish bullrushes back towards the lake. What’s important here is that the reel is still applying some amount of resistance to slowly tire the fish out. That’s where a good drag system can help catch more fish. 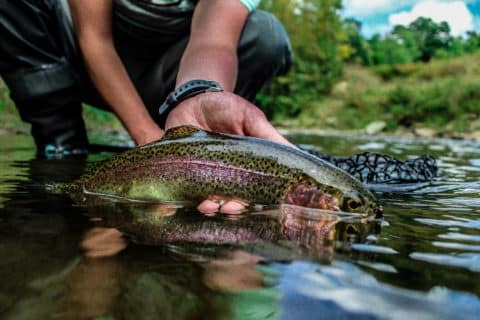 These fish have exponentially more energy than trout, so even when they are making a run we’ve got to work on wearing them down. Money is well spent on a reel with a smooth and powerful drag setup. 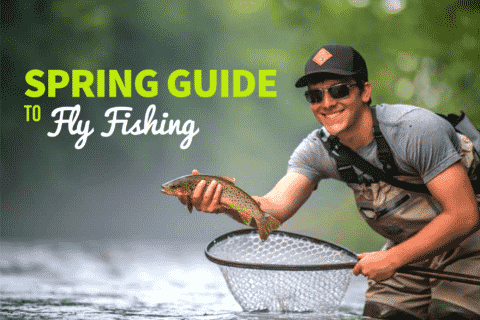 A proper rod is different for each angler, so it’s important to take your fishing style into account. Last, but certainly not least on our list of gear essentials. When it comes to the rain jacket, forget about warmth. Your outer layer needs to be about two things: blocking wind and keeping you dry. Some jackets try to tout the all-in-one but the truth is it’s way easier to layer up with fleece and wool then put a jacket on over top. 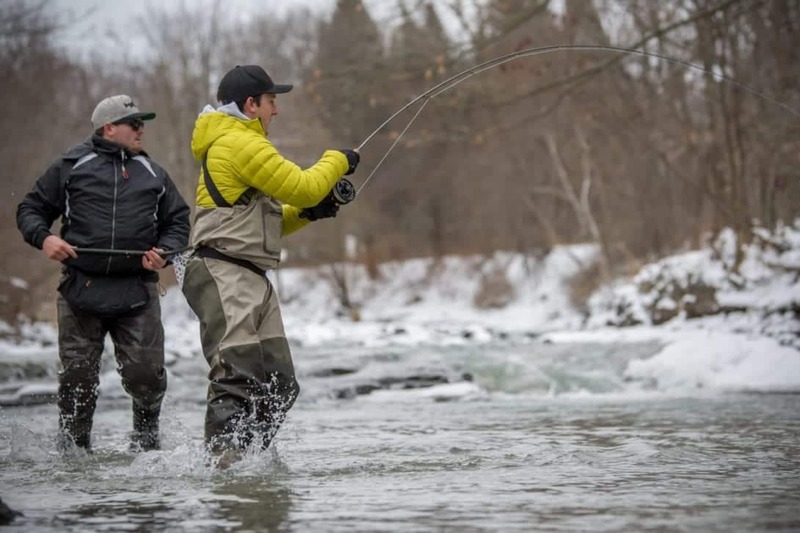 Weather in the Great Lakes is nasty during the steelhead months and a proper rain jacket can help you stay on the water and remain comfortable throughout the day.